Lightning at twilight on Maui! Last Wednesday I had just gotten back to Maui and headed up to Paia to play some ultimate. The weather in the eastern Islands had been stormy for a couple of days with damaging flooding occurring on Maui the day prior. While the sky was nice enough there were storm clouds further down the coast but weren’t tracking any further to the west. As the sun set we noticed a couple of the clouds starting popping off some awesome lightning. Standing there watching this awesome spectacle I decided to run back to the car and grab my gear and hurry to the beach to try and catch some. 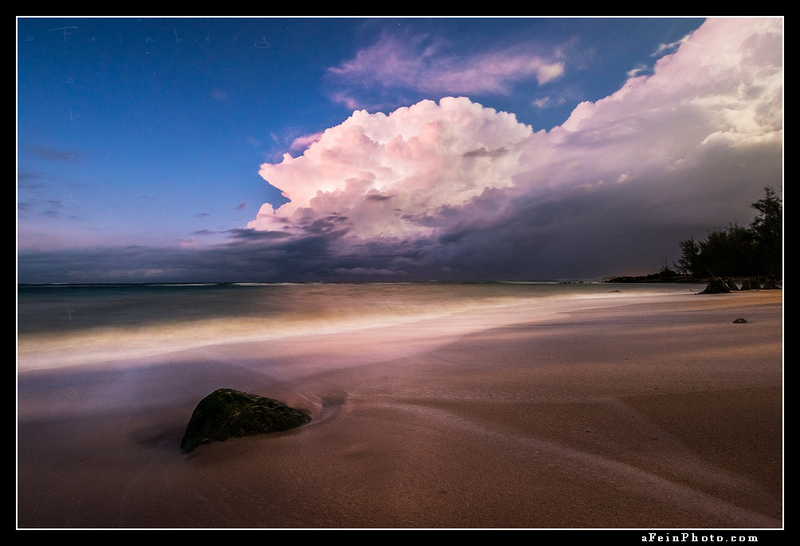 These kinds of conditions are VERY rare in Hawaii and standing out there with the ocean running up watching this show was special. 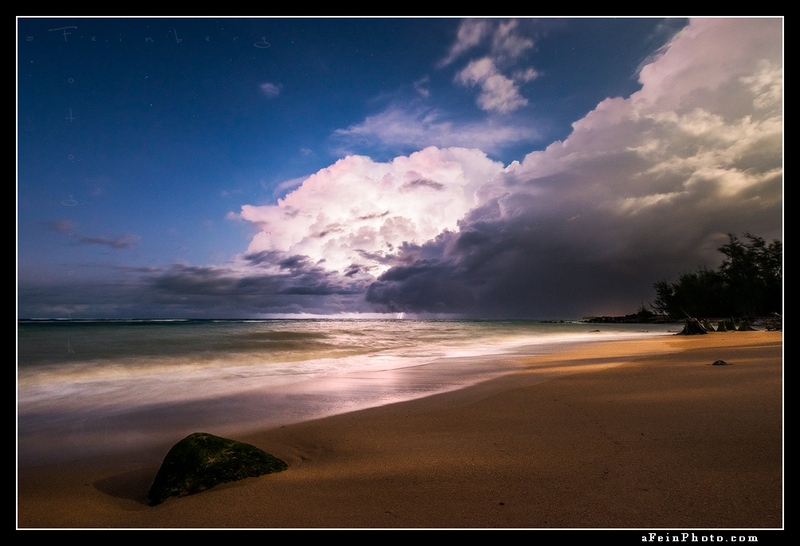 To add to the surreal part of the scene the full moon had just rising and was lighting everything up as well! Not a bad way to start this trip! Which version do YOU prefer?! Posted in Image Discussion, Tales From The Road and tagged baldwin, lightning, maui, paia on September 19, 2016 September 19, 2016 by Aaron Feinberg.